Bodybuilding is not just a man�s thing anymore. All over the world, bodybuilding competitions are held for both men and women. There are television body fitness shows that target bodybuilders. Lifting weights is the perfect routine for bodybuilders in order to achieve hypertrophy or muscle growth. These strenuous and high intensity activities promote the strengthening of muscles. The suitable weight-lifting program is accompanied by specialized nutrition with high amounts of protein. Rest is also an important aspect of bodybuilding. Due to the high levels of muscle growth and repair, bodybuilders require between 500 to 1000 calories more than their recommended daily amount while at the same time attempting to increase lean body mass. This is achieved by taking in 5 to 7 full meals daily at regular intervals of 2 to 3 hours. This split of food intake allows for greater availability of nutrients in addition to assisting in fat loss. In addition to a well-planned diet, bodybuilders can choose from a wide array of bodybuilding supplements on the market, depending on their needs. In gaining muscles, it is really not necessary to take in supplements. However, these supplements aid in hastening muscle development. Glutamine, which is the most abundant amino acids found in muscles, inhibits muscle wasting and helps muscles improve faster. Creatine is good for muscle development because it increases the body�s ATP that is the main source of muscle energy. This increase in energy enables the bodybuilder to perform longer and endure more strenuous workouts. The different types of creatine are micronized creatine, creatine monohydrate and creatine formulas, which are mixed with other stuffs like dextrose and amino acids. Multivitamins - Deficiencies in minerals and vitamins can hamper the gains of workouts. Sufficient intake of multivitamins is essential in gaining muscle mass. Vitamins aid in converting food into energy while minerals ensure that the brain receives the correct signals from the body. HMB - The HMB supplement is a metabolite of leucine, an essential amino acid, which has a positive effect on muscle gain and even fat loss. Zinc and Magnesium Aspartate (ZMA) - This combination of vitamins and minerals has been reported to increase testosterone levels and improve sleep and recovery. Prohormones work like anabolic steroids- they increase anabolic hormones but with less risks for side effects. 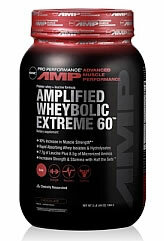 Protein-rich products or meal replacement products are available such as protein bars and protein shakes. Both are consumed in replacement of whole meals. These products are low in fat, rich in vitamins and minerals, have moderate amounts of carbohydrates and packed with high quality protein. Protein is made up of amino acids, which are the basic building blocks of muscles. Other forms of protein would be whey, egg or albumen, casein and soy. The demand for bodybuilding supplements is increasing as more and more types and brands are being developed. Unfortunately, a lot of manufacturers make false claims with regards to the product safety and effectiveness. It is always best to take precaution in choosing the supplement. Remember that the US Food and Drugs Administration does not provide oversight for these bodybuilding supplements. Meaning, the safety of these products is not always guaranteed due to the lack of an agency that can control and check these products. No amount of supplements will gain you results without a strict workout regimen and a proper diet. So if you want to achieve that fabulous body, sweat it out! The natural way, is always the most effective way.